When looking for a small scan tool the Hikeren WiFi capable scan tool is a great option. It is small in size, but is capable of offering many features. It is compatible with IOS, Android, and Windows phones and tablets. Download an app like Torque (or use the included software), pair your tablet/phone with the scan tool, and all your vehicle information is at your finger tips. This OBDII scanner allows for the same features found in scanners that cost 10x times the price. When we acquired this OBD2 scanner to write our Hikeren WiFi OBDII V1.5 Review, we were excited about the ability to use it on the iPhone. If you have spent any time searching for the perfect OBD2 scanners, then you’ll know how hard it is to find one that is iOS compatible. This OBD2 scanner had no problem pairing with our iPhone 6s, and Nexus 7, and Galaxy S6. Here’s where I picked up my Hikeren scanner. On to the review. OBD II is the vehicle computer system that comes equipped on vehicles produced after 1996. Having a scan tool that can communicate with this system is very important when attempting to diagnose a vehicle. Some scan tools are large in size, and others can be very compact. There are also many different user interfaces depending on the manufacturer of the scan tool. When looking for a scan tool it is important to find a tool that fits your needs. Not everyone is sure how to handle a situation when the check engine light illuminates. We have written a guide that should give you the basics when that pesky CEL comes on. If you are reading this review, then you are most likely a “do it yourself” kinda guy (or gal?) and you would like to avoid the mechanic if possible. That’s where the Hikeren WiFi OBDII V1.5 gets real handy. This awesome little scanner is capable of reading and clearing diagnostic trouble codes. With this information, you’ll know if it’s a simple fix like the fuel cap loose… or an issue with bad injectors throwing off your fuel ratio. Using an app like Torque or Car Doctor, the Hikeren OBDII scan tool is capable of communicating with IOS, Android, and Windows based products. This makes the tool very useful since it is capable of communicating with most products. And what’s even better? Hikieren has a 1 year guarantee that the scanner will work, or they’ll give you a refund. Diagnosing a concern with a vehicle can be difficult. Without the proper information there is no way of knowing where to go in the diagnosis procedure. The Hikeren will allow for live stream data information. This is an awesome feature for that pesky noise that shows up when you’re reaching highway speeds or towing your camper up the hill. Just plug in the OBD2 scanner and start driving. It will show the status of your vehicle at your fingertips. One thing we really liked about this scanner is the wide range of vehicles it works on. We tested it on a Honda Accord, Subaru, Chevy Colorado, Buick LeSabre, and Honda Odyssey. The Hikeren scanner claims to be compatible with ALL OBD2 and CAN equiped vehicles. This includes Chrysler, Ford, Honda, Mazda, Nissan, Toyota, Volkswagon, and other OBD II equipped vehicles. But if this scanner happens to not work with your vehicle, Hikieren has a 1 year guarantee that the scanner will work, or they’ll give you a refund. Not everyone has a lot of room in their tool boxes or glove boxes. Having a scan tool that is small is size can definitely be very useful. The Hikeren WiFi capable scan tool is small enough to fit in your pocket. With no cables this tool will pretty much fit anywhere. This makes it very useful for the light traveler! 1) Read and clear diagnostic trouble codes. 2) Display live sensor data. 3) View fuel system status. 5) Compatible with IOS, Android, and Windows devices. Note: Some vehicles may not allow for these features to be accessed. The main things we liked when using this tool was how easy it was to use. It is also very light-weight and compact, so you can plug it into your car and just leave it there. Cost was also a big plus. For around $20 you can get a tool that could save you hundreds (or more?) from taking your car to the mechanic. The live sensor data was very helpful in troubleshooting issues that only occurred during certain conditions (towing, heat, cold, etc). One thing we didn’t like is the wireless connectivity. 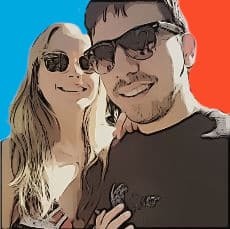 Sometimes the wireless or bluetooth will lose it’s connection and drop for a second. This would be frustrating if it occurred very often. We found that as long as our phone was fairly close to the scanner (on the dash, or the seat) it rarely lost connectivity. When looking for a small scan tool the Hikeren WiFi capable scan tool is a great option. It is small in size, but is capable of offering many features. It is compatible with IOS, Android, and Windows phones and tablets. Download an app like Torque (or use the included software), pair your tablet/phone with the scan tool, and all your vehicle information is at your finger tips. This OBDII scanner allows for the same features found in scanners that cost 10x times the price. Read, and clear diagnostic trouble codes in a flash. The compact size of the tool makes it very easy to carry, and store which gives it an advantage over larger scan tools. Overall, if you are a curbside mechanic, or just like to know what your car is doing, this is the perfect OBD2 scanner. 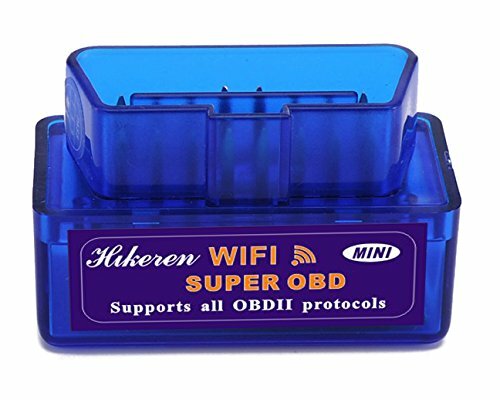 We hope you enjoyed reading this Hikeren WiFi OBDII V1.5 Review as much as we enjoyed writing it. If you have any questions, please comment below! And don’t miss our ultimate guide to finding the best iPhone OBD2 scanner!